My conditioner retinue is pretty much set for the year except when I’m testing something new. 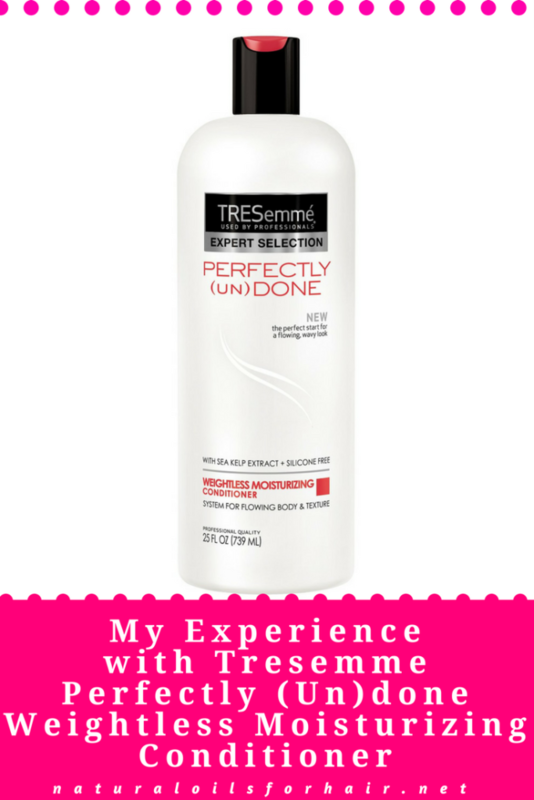 I came across Tresemme Perfectly (Un)done Weightless Moisturizing Conditioner 2 weeks ago and was intrigued. After a few tries, I can only say great things about it and I’ve decided to add it to my product stash permanently. Incidentally, I found it because I couldn’t find my beloved Trader Joe’s Tea Tree Tingle & Eucalyptus Conditioner and needed to wash my hair that weekend. 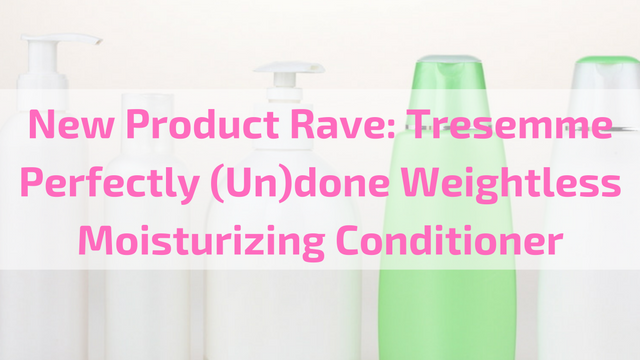 Tresemme Perfectly (Un)done Weightless Moisturizing Conditioner comes from the company that brought us other amazing products like the Tresemme Naturals and Botanique Line. The conditioner has a slightly thick and creamy consistency with a pleasant smell (ok, I loved the smell), and is advertised as a system for creating wavy hairstyles. One of the key ingredients is sea kelp extract, which has a high content of silicon, vitamins (B, K, B1, B2 & B12) and minerals. These awesome minerals include iron, zinc, calcium, potassium, magnesium, potassium, phosphorus, iodine & folate; all the good stuff you want in your hair. Additionally, the silicon content in sea kelp helps keep hair shiny and smooth (full ingredient listing below). I’ve read a few reviews where women mentioned it dried out their hair. This may have something to do with application methods. I rinsed my hair then co-washed with it. The shine afterwards was lovely. After co-washing, I applied my usual leave-in conditioner, gel and oil to finish the regimen. After shampooing with diluted Castile soap, I used it as a deep conditioner for about an hour. I followed with clay rinsing, leave-in conditioner, oil and gel. I loved the way my hair felt after I rinsed it out. Soft and moisturized without feeling filmy. 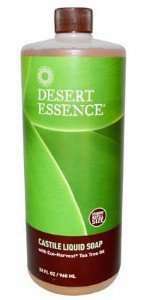 The standard size of the conditioner comes in a huge 32 oz bottle, which should last for quite a while even for longer hair. Water (Aqua), Cetearyl Alcohol, Stearamidopropyl Dimethylamine, Macrocystis Pyrifera (Kelp) Extract, Behentrimonium Chloride, Fragrance (Parfum), Dipropylene Glycol, Lactic Acid, Potassium Chloride, Disodium EDTA, Methylchloroisothiazolinone, Methylisothiazolinone. Have you tried any of the Perfectly (Undone) line? Share your experience in the comments section.